Sony Ericsson has finally announced the Xperia Pureness, the first mobile in the world with a see through display. 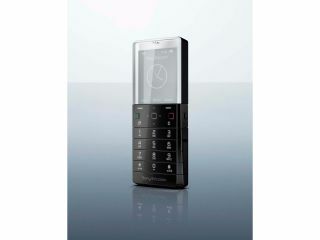 Previously codenamed 'Kiki', many thought this was just a concept device, but Sony Ericsson has now made it official. The phone has a very Spartan feel to it, and the screen itself isn't going to be a high resolution video player, but the phone manufacturer is obviously going on the 'cool' factor when announcing this. "Xperia Pureness approaches the mobile phone as a work of art rather than technology. The company's designers aimed to sculpt an object of design that reflected the purity of water and a sense of calmness when not in use," whispers the press release, possibly while reclining on a marble chez lounge and staring dreamily into the half-distance. Sony Ericsson has said the new Xperia Pureness will be released in November, when it will give more information on the spec list and other features. However, AreaMobile has managed to bag some shots of the device, highlighting how it clearly does look as good as the press release wants us to believe. The new Xperia Pureness is designed to be part of Sony's new Make.Believe campaign, and to be honest, we thought this was the stuff of fairytales before today.